I wrote in November WVBA article about the good news that OR was actively considering the incorporation of honey bee colonies and bee/pollinator friendly foraging as ground cover for solar array farms. Unfortunately the optimism I expressed in my November newsletter article that OR Solar arrays were in the vanguard of utilizing honey bees and development of pollinator habitat may have been put on temporary hold. Temporary rules restrict Oregon solar development, Capital Press Jan 28, 2019. As I pointed out in the November WVBAHIVE, going back to policy established in 2010, solar facilities larger than 12 acres require conditional use permits in Oregon. According to a recent article “ambiguities in the regulatory language raised concerns among farm and conservation groups”. Singled out was one project approved in Clackamas Co last year in which the county government approved a 73 acre array on agricultural land with 100 bee colonies to be included in the project and targeted forager-friendly plants permitting bees/pollinators to forage beneath the solar panels. Following a hearing in January, the OR Land Conservation and Development Commission temporarily expanded restrictions on solar arrays on high-value farmland. Their ruling would exclude solar on top-quality soils: Class I, Class II, prime and unique – most of the Willamette valley. They issued temporary rules restating that solar projects cannot “use, occupy or cover” more than 12 acres. However the revised rules would allow solar facilities of up to 20 acres on soils other than high-value land, if the project includes a “farm use element” for the project’s duration. i.e. concept of dual use. Dual use was the essence of testimony of John Jacob, OSBA President and Ralph (Mike) Rodia, OSBA Agricultural Liaison. Outlining the importance of bees and pointing out the increasingly inadequate forage for commercial beekeeper bees (they excepted bees of residential beekeepers), they requested the commission “support the inclusion of pollinator friendly habitat in and around solar arrays” to “help sustain” honey bee hives. They pointed out that even if not an actual apiary site, pollinator friendly habitat would serve bees in a 2-mile surrounding radius. Their written statement recommended 4 additions to OAR 660-033 parts (c and d) that focused on dual-use opportunities for hive siting and pollinator friendly habitat. Contact Mike rrodia@msn.com for a copy of the 2-page statement. 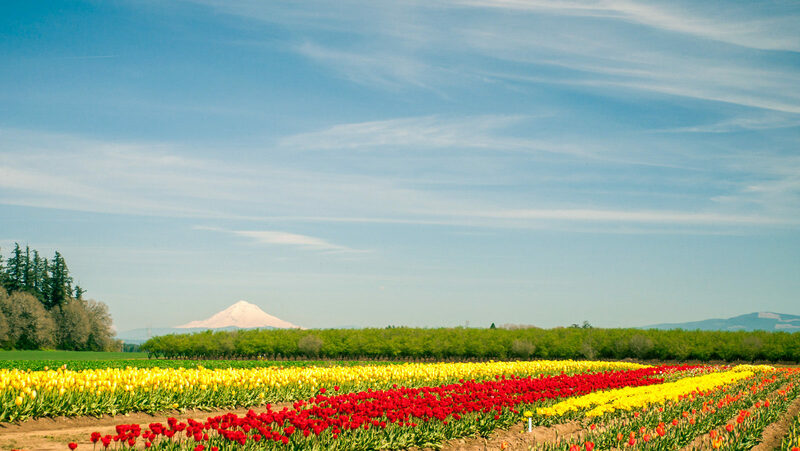 The farmland preservation group 1,000 Friends of Oregon supports the temporary rules in light of the “challenging process” and “strong interests on all sides of the issue,” said Meriel Darzen, rural lands attorney for the nonprofit. Arguing against the new restrictions, Rikki Seguin, policy director of Renewable Northwest said “From the perspective of solar interests, the rule is extremely prohibitive and has the potential to cripple the state’s community solar program before it really gets going …..the recently adopted rules could greatly restrict where projects could be built in the Willamette Valley …..Solar facilities can help Oregon farmers earn extra income to keep their land in the family and the property can ultimately be returned to agricultural use”. The possibility of solar arrays providing more habitat for bees and pollinating insects + being a potential apiary site could benefit bees and pollinators greatly from a dual-use adoption for siting of new solar arrays. Stay tuned to see what eventually comes for this discussion. The commission will revisit the solar rules again at its meeting on March 21-22 with the goal of enacting permanent regulations. In a more positive development, a webinar from the National Renewable Energy Lab (NREL: U.S. Department of Energy): Co-Location of Solar and Agriculture: Benefits and Tradeoffs of Low-Impact Solar Development. https://fresh-energy.org/nrelwebinar/ summarized NREL and nationwide efforts regarding solar siting and dual use opportunities for installations. It does include considerable information on how honey bees and pollinator habitat can be important considerations for use of land used for solar energy. It even offers lists of plants that solar arrays could consider to benefit bees.